I have been a touch spotty with my traditional blog posts, but some things are so fantastic that the need the full feature! 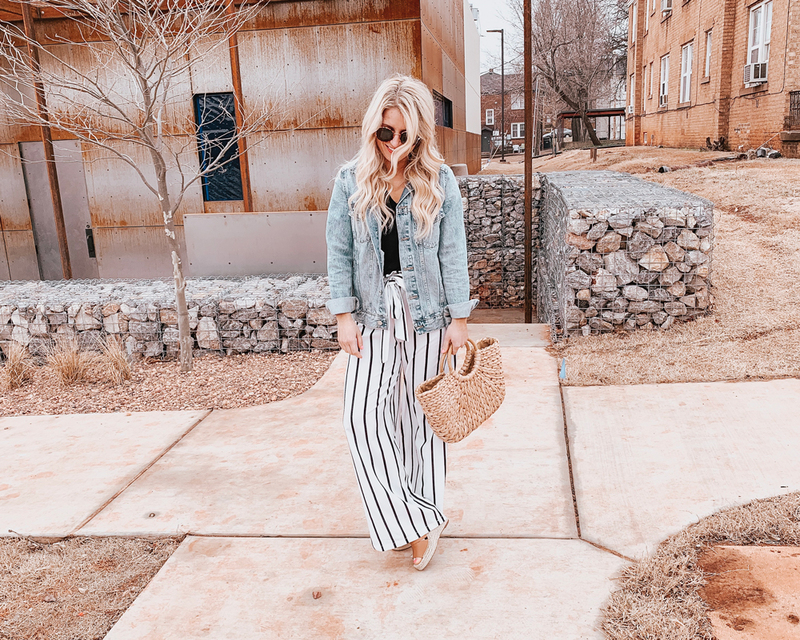 I have compiled a roundup of all of my favorite spring purchases from Amazon and EVERY SINGLE ONE is under $30! Cannot even believe I liked these all so much! You can shop each look below the photos! This one is probably my favorite of the whole bunch. It runs true to size (I’m wearing the small), fits like a dream, and the fabric is super lightweight and soft. I have the olive green color, but it comes in several other color options. I’m 5’3 for height/length reference! This one is a complete spring/summer staple in my book! 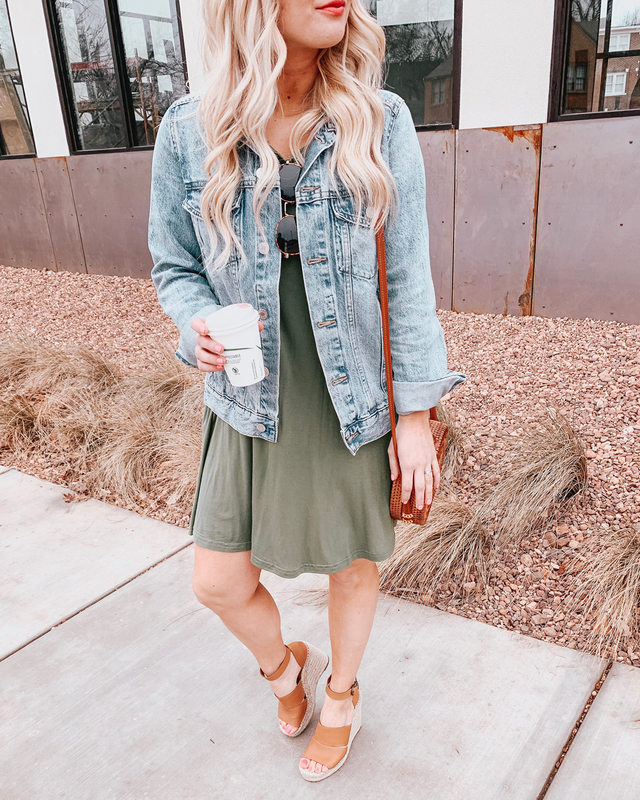 The material is like a soft jersey so it’s really comfortable and easy to style a lot of different ways if you wanted to tie up the bottom or leave it down. I have on the size small in this one too so it’s true to size also! This is my top pick if you have a growing bump! It’s not maternity, but the fit of it is really nice and flowy if you did need a little extra space. :) I’m wearing the size S in this one as well, and it is more of an oversized fit. This one comes in a few other color options as well! This one is crazy comfy and will get TONS of wear time this spring and summer! The material is really soft, not thin or see-through, and it comes in every color under the sun! It also comes in several colors in a long-sleeve version, and I’m wearing the size S here. I love the style of this one! I will caution you that the material is a little more thin so the lighter colors might potentially be a little see-through. The olive color that I have is NOT though. I’m wearing size S in this one as well! I don’t know that I’ve ever seen anything more perfect for a beach vacation! :) Someone take me on one please! I am wearing size S in these and am 5’3 (wearing with wedges in the pics) for length reference. You could also totally wear these as more of a cropped fit if you’re taller. I will caution you the material is a little thin on these too so I suggest maybe ordering one of the other two darker colors! This one has already been a best-seller with you guys and for good reason! This one is the dressiest of all the options so it’s great as a wedding guest dress, easter dress, etc. It’s such a flattering fit and length for all body types! The fabric is lightweight, but it comes with a slip underneath so you don’t have to worry about it being see-through. I’m wearing size small in this one too, and it comes in lots of other colors as well! And that’s a wrap folks! As of right now, these are all available on Amazon Prime. HOWEVER, sometimes when a product is selling quickly they will take it off of amazon prime until they have better stock so don’t panic if that happens- it will still be the same product either way! Let me know if you end up trying any of these out! If you’d like to see them a little closer, I’m attaching a video review below.